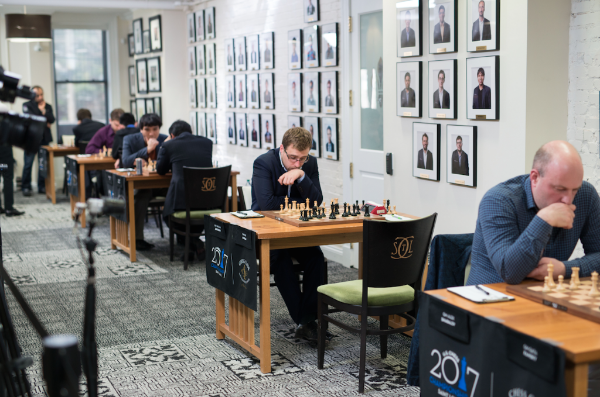 The 2017 U.S. Championships are heading into their last rounds, and the battle for the top position is heating up more each day. 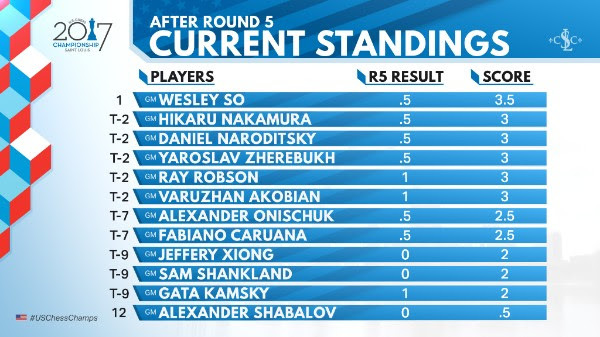 In the open division, Wesley So is still leading, but another competitor has emerged on the horizon. 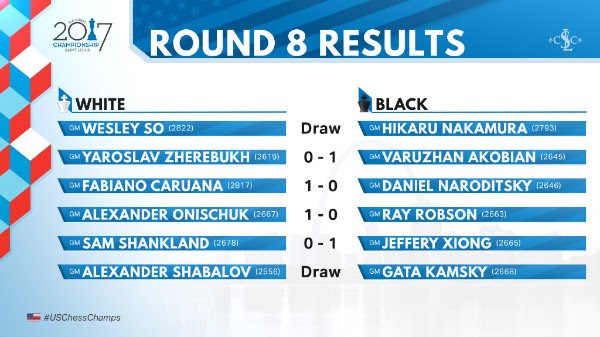 Var Akobian dropped the hammer on yesterday’s hero, Yaro Zherebukh, and leap frogged him after a sound strategic victory. He is now joint leader alongside So and will go into the championship rounds as one of the favorites to win it all. 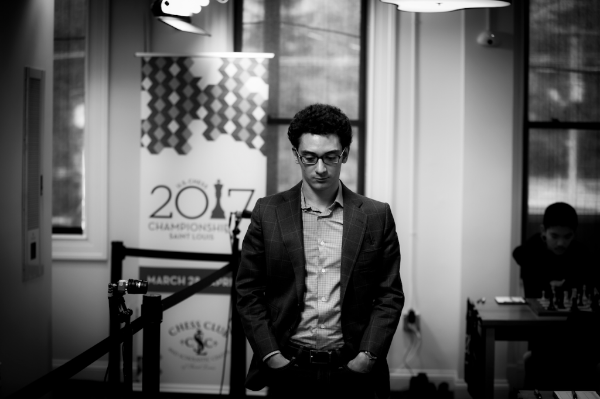 Caruana was quick to recover after his painful loss and blew Daniel Naroditsky off the board after a powerful show of dynamic chess. 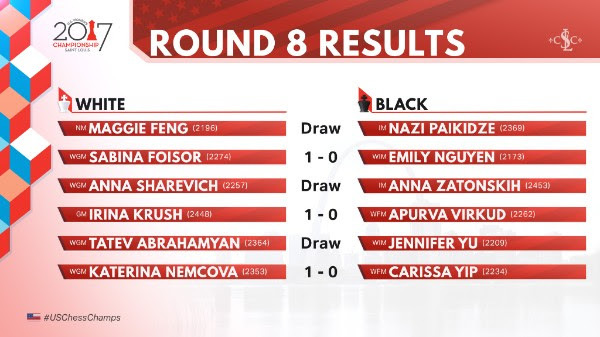 In the women’s section, Nazi drew the wildcard Maggie Feng and allowed Sabina Foisor to catch her at the top of the table. 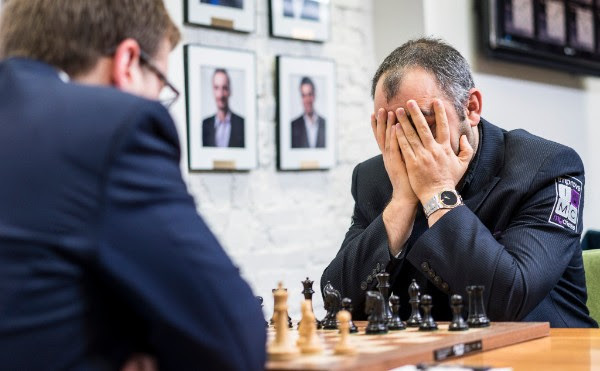 Caruana vs Naroditsky was one of those games which reminds you just how strong the number three (4 in the live rating list) is. Fabiano opened with 1.e4 and the players followed one of the most topical lines of the French. 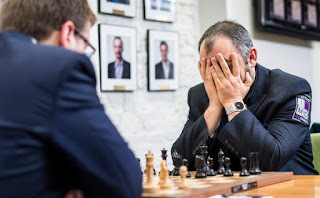 Unfortunately for Daniel, he seemed to have forgotten the theory as early as move nine when his 9…b6 could be considered at least a bit suspicious. Zherebukh vs Akobian is an example of how difficult some strategical concepts are, even for top level players such as Yaroslav. The players entered a rare variation of the French Tarrasch and there was never a doubt on who knew it better. Akobian was a man with a plan and his enticing 14…0-0! was the one temptation Yaro couldn’t refuse. Krush vs Virkud signaled Irina’s comeback! The 7 time champion came very well prepared and quickly imposed her dominant style. 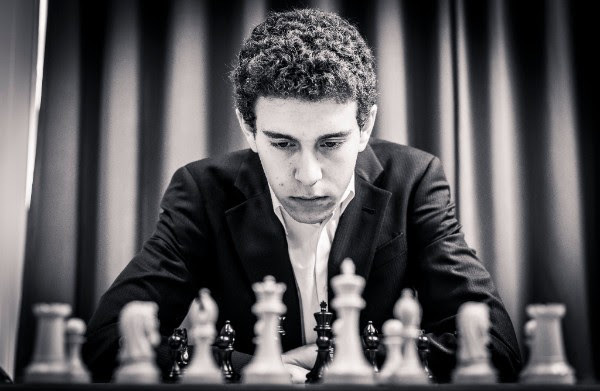 But the nature of the position was quite volatile, and white’s imprecise moves allowed black to find equality. There were still plenty of pieces on the board and Irina’s versatility aided her in making better moves and she slowly outplayed her opponent. Virkud’s 32…Qh4? 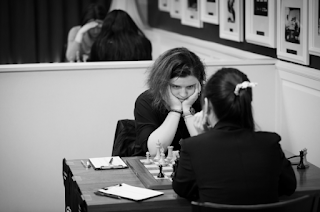 was the icing on the cake as Irina swiftly punished her opponent’s reckless play. With this win, the seven time U.S. Women’s champion cuts into Nazi’s lead and stands only half a point behind her. She will face Yip tomorrow in what will surely be a fierce battle between the most and least experienced players in the field. Foisor vs Nguyen was a show of force by Foisor, who seems to be working extremely hard during her pre-game preparation, as she always has magnificent positions after the theoretical battle ends. 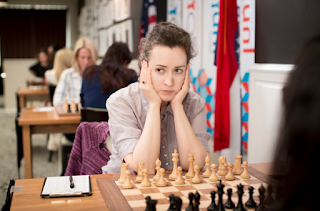 By move 17, Sabina was in full control and was heading toward another crushing defeat; unfortunately for her, she made the wrong choice with 20.d6?! 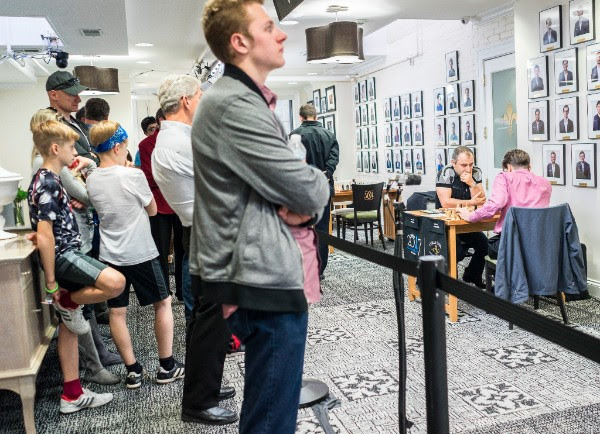 when she should have ended the game with 20.f4!, a move that would have been much more devastating than the game continuation.